When we were kids, simple pranks got the laughs. 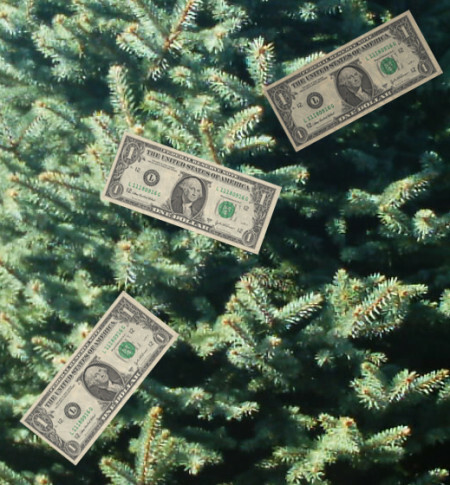 Those of us who have fond memories of trying to pry up a dime glued to the floor, or chasing dollar bills around the house, can’t help but wish it was still so easy. Plenty of classic April Fool’s pranks will be played today – the clocks will be set ahead, making us think we’re late for work; we’ll brush our teeth with a salt-soaked toothbrush; the cereal will spill out all over the floor as we grab the box off the pantry shelf. 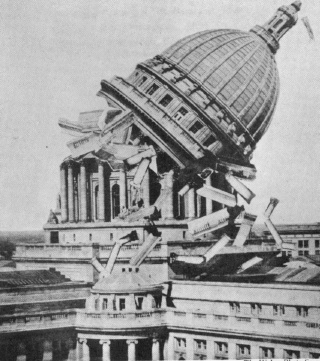 1933: The Collapse of the Wisconsin State Capitol. The front page of the Madison, Wisconsin Capital-Times showed a photo of the State Capitol collapsing. The headline read: “Dome Topples Off Statehouse: Officials Say Legislature Generated Too Much Hot Air”. The news article reported that the building was in ruins after a series of explosions started in the early morning. While the story concluded with “April Fool”, many readers were disgusted by the hoax. 1934: He Flies Using Lung Power. The New York Daily News was one of several papers that published this photo of German pilot Erich Kocher flying by means of his own “lung power”. Photo captions explained that he blew into a box, powering two horizontal rotors, creating enough suction to propel him. He steered using a fin strapped to his back. And, yes, those are skis he’s wearing as landing gear. 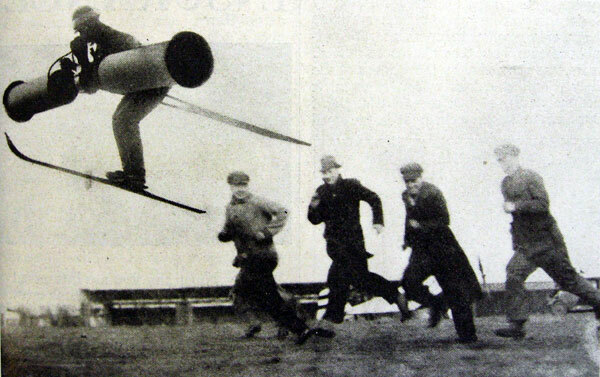 The ‘flying by lung power’ photo was distributed by International News Photo, who hadn’t identified it as a joke. 194o: The World Ends on April 1. On March 31, 1940 The Franklin Institute in Philadelphia, Pennsylvania, issued a press release announcing the world would end the following day. Local radio station KYW picked up the story, and broadcast: “Your worst fears that the world will end are confirmed by astronomers of Franklin Institute, Philadelphia. Scientists predict that the world will end at 3 P.M. Eastern Standard Time tomorrow. This is no April Fool joke. Confirmation can be obtained from Wagner Schlesinger, director of the Fels Planetarium of this city.” The hoax caused an immediate reaction – people were frantic. The Institute assured the public that the story was false; the Institute’s press agent, William Castellini, released the fake information in order to publicize an April 1 lecture ironically titled “How Will the World End?”. He was dismissed from his duties. 1957: The Spaghetti Harvest is considered one of the biggest and most successful hoaxes pulled off by a real news agency. A 3- minute report was broadcast on BBC’s Panorama about a family in southern Switzerland harvesting their spaghetti tree. Hundreds of viewers called in – some to report the story was incorrect, some wanting to know more about it, and some asking how to grow their own spaghetti trees. 1962: Who wouldn’t want instant color TV? Sweden’s Sveriges Television (SVT) aired a highly-technical broadcast by a “technical expert” Kjell Stensson, who explained that a meshed screen placed in front of a traditional black-and-white TV would cause light to bend in a way that the image would appear to be in color. All anyone had to do was place nylon stockings over the TV screen. The hoax sent thousands rushing about their houses trying to find a pair of stockings. Watch a video of the broadcast. 1965: All Dogs Must Be White. In Copenhagen, the Politiken newspaper, reported that a new law was passed requiring all dogs to be painted the color white so they could be seen more easily at night. Residents of Sitka, Alaska woke up thinking Mount Edgecumbe was erupting. A local prankster had loaded the crater with tires and set them on fire. 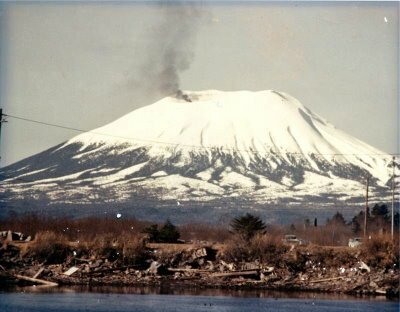 1974: Mount Edgecumbe Erupts! Residents of Sitka, Alaska awoke to clouds of black smoke rising from the crater of the long-dormant volcano. They were terrified. Turns out a local jokester (Porky Bickar) had flown over and dropped a hundred old tires into the crater and lit them on fire. 1984: Save Daylight Contest. The Eldorado Daily Journal in Illinois announced a contest whereas you had to save the most daylight during daylight saving time. The rules explained that contestants could store daylight in any container, so long as it was pure daylight and not dawn or twilight. There was a huge response nationwide. Do you recall any brilliant hoaxes pulled by newspapers, radio stations or TV networks? Have any of your own April Fool’s Day memories to share? Chime in below.